Yay a Bank Holiday Weekend. What a great way to start a whole week off! 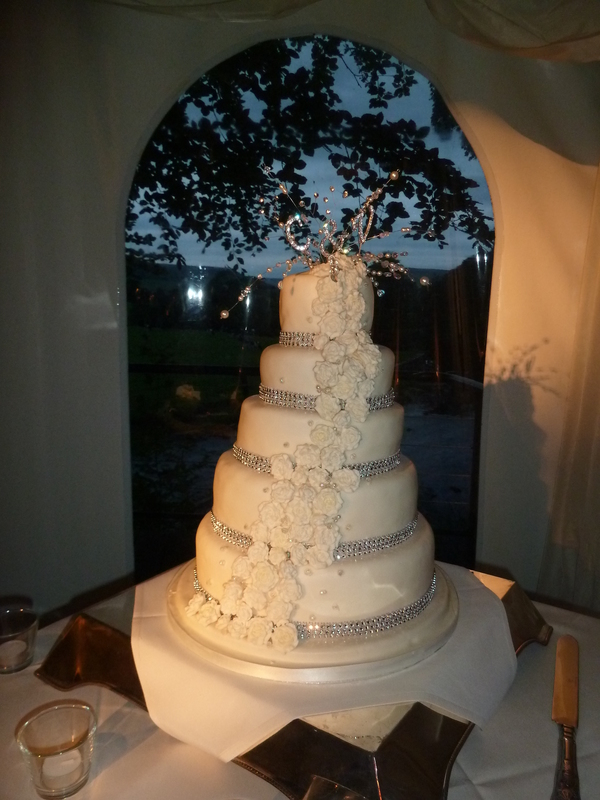 Friday night we went to a friends wedding do.The bride and groom looked so happy and everything looked perfect. 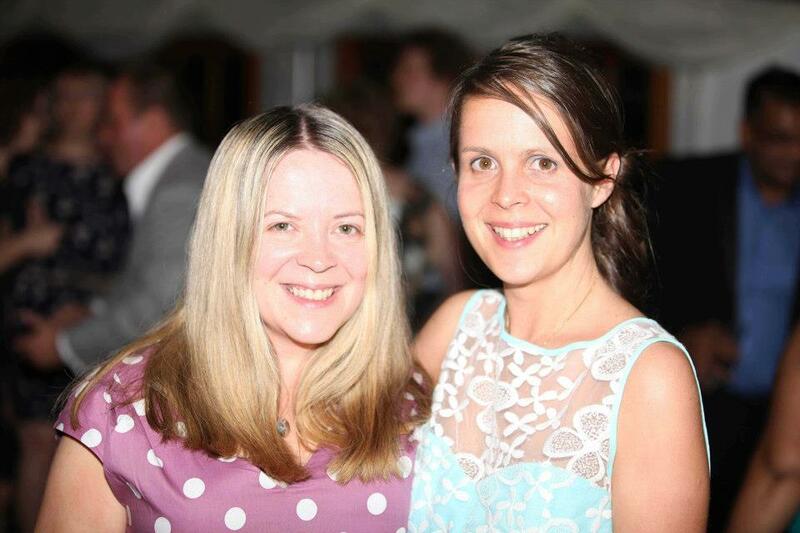 My beautiful sister had been a guest there all day and she looked so elegant in her pretty blue Jane Norman dress. On Saturday we headed to a craft fair and then to the Castle grounds where we were supposed to be treated to a world war two Spitfire flyover. Unfortunately the rain put a stop to that. 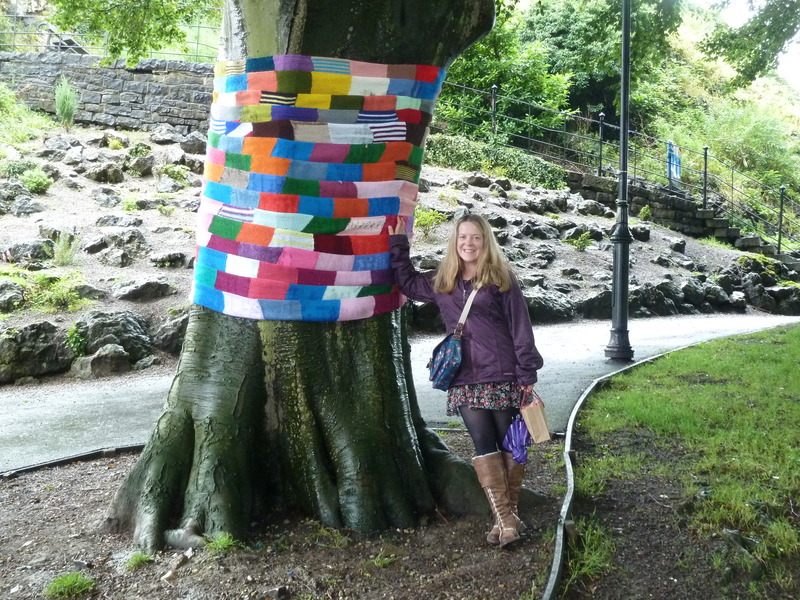 Nice yarn bombed tree though. 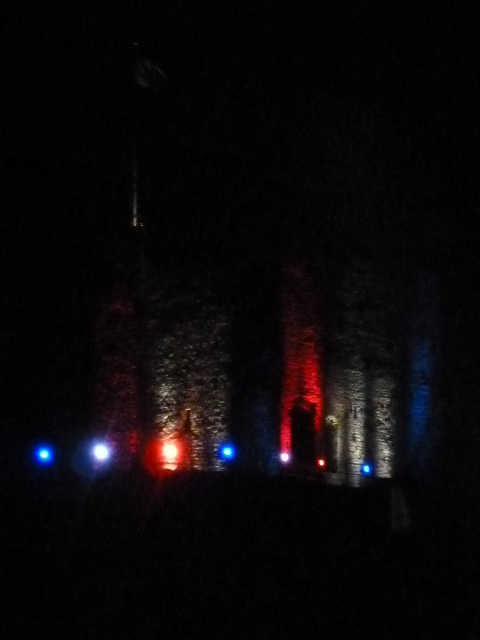 In the Evening we were treated to a torchlight procession through the town with lots of brightly decorated floats and the castle was all lit up. 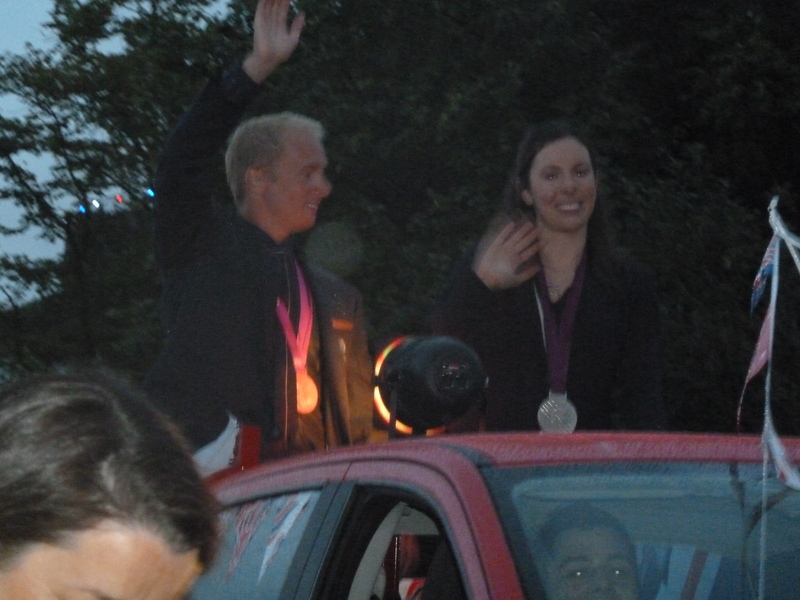 The Ribble Valley is home to two Olympic medalists John Schofield and Samantha Murray who braved the rain to lead the procession. Despite the weather there was a brilliant turnout. Our Very own Olympic Medalists. 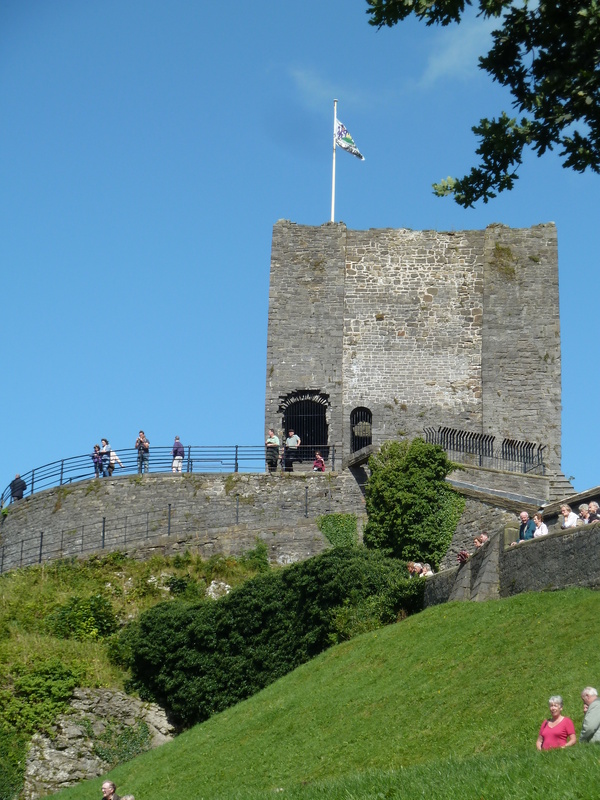 On Sunday we headed back to the Castle grounds to the annual proms in the park which is always an excuse for a few glasses of wine and a picnic. : ) I sometimes forget what a beautiful place we live in and its times like these I really appreciate my home here. So a great time was had by all! 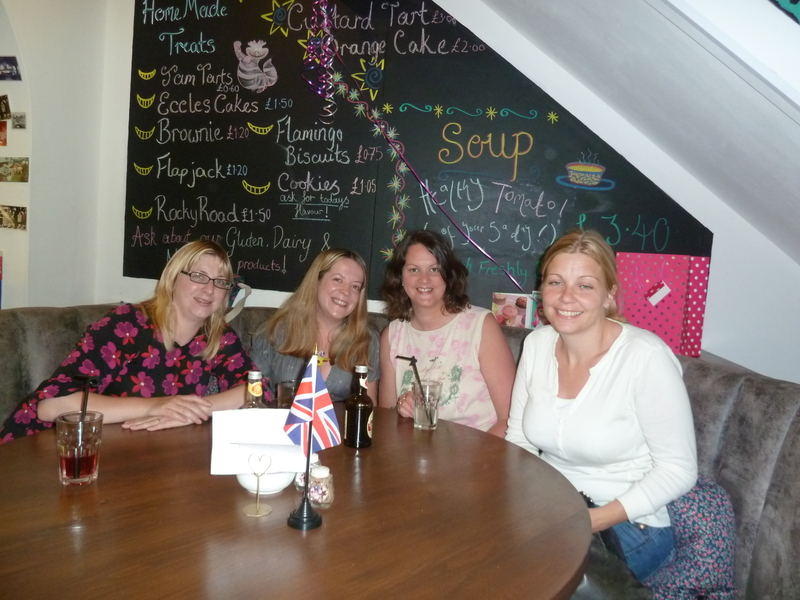 One of my friends decided she would like to go out for afternoon tea when it was her 40th birthday a couple of weeks ago. It was quite a shock ! Are our clubbing days long gone?? Still it was also a fab idea of hers as going out for tea and cake is one of my favourite things ever! 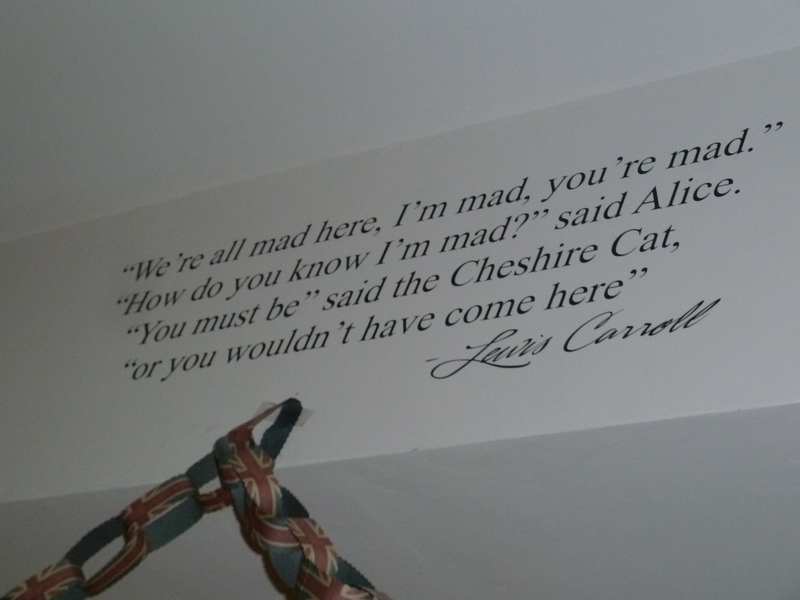 One of the ‘Alice In Wonderland’ quotes that are dotted round the tearooms. We decided to go to our local tearoom , the quirky Alice in Wonderland inspired ‘Callooh Callay’ on Moor Lane in Clitheroe. 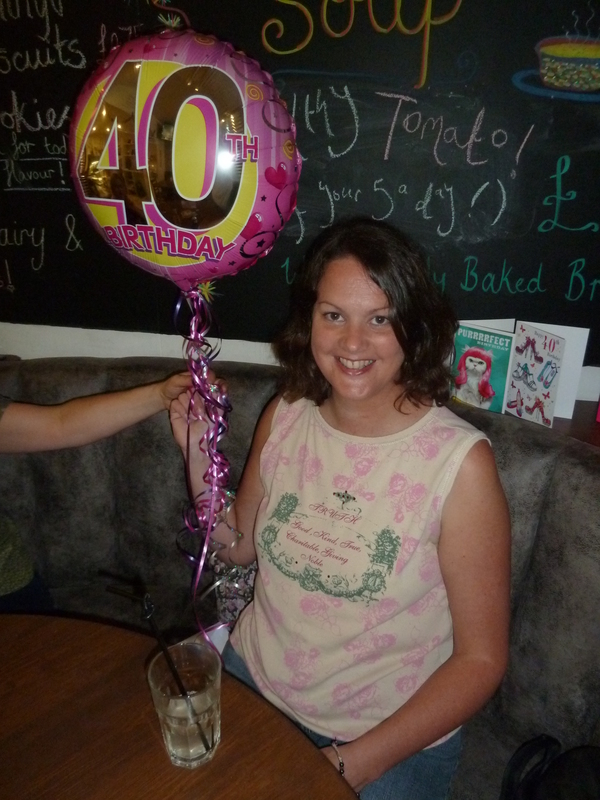 Jo gave Marian the traditional 40 balloon and we all got down to studying the yummy sounding menu. 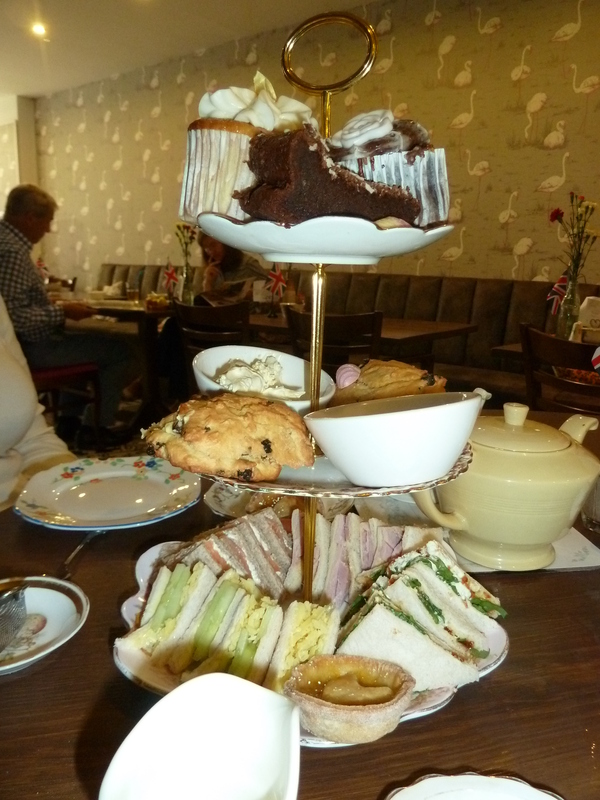 Dainty and delicious sandwiches cut into triangles, scones with jam and clotted cream and a selection of scrumptious cupcakes arrived on three tiered cake stands. Yummy. 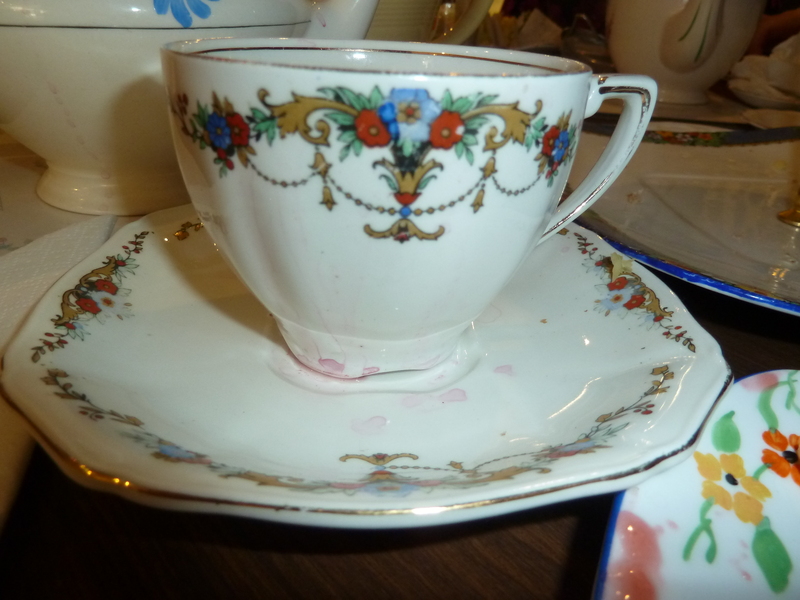 : ) Everything was served in beautiful vintage crockery. I think we all agreed that afternoon tea was indeed an inspired idea and the Birthday girl and all of us were very impressed. 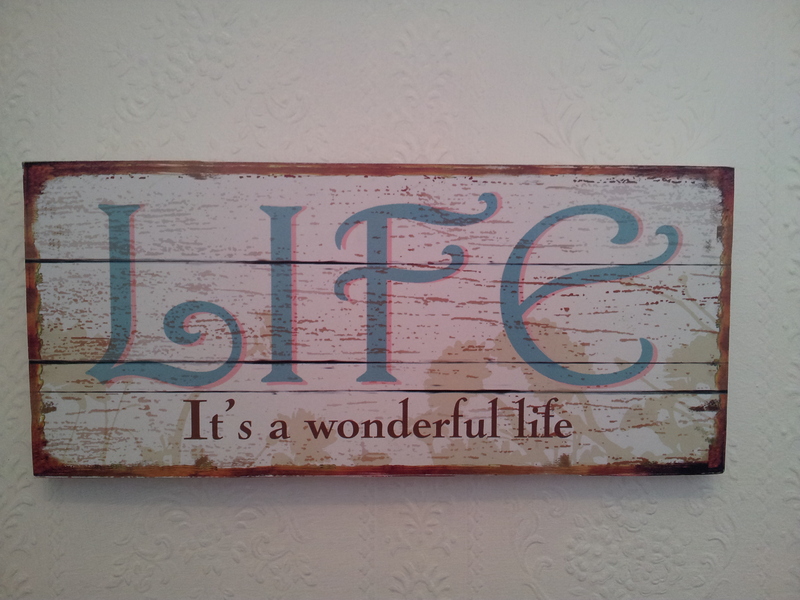 Theres nothing like a craft fair for finding unusual and pretty gifts. Today I have been to a Crafty Vintage fair in Clitheroe and here are my gorgeous finds. My favourite purchase today has got to be this glistening vintage cat broach ( a 30th bday present for a friend) which actually has a moving tail. There might be a time soon when a friend or neighbor knocks round at yours with a tub of beery smelling cake mixture and a list of Instructions for keeping ‘Herman? ?’ alive. Thats what happened to me ten days ago! Herman is a friendship cake which apparently originates from an amish tradition of baking sourdough cakes for the poor. The instructions include a lot of stirring and some feeding( adding of ingredients) over ten days. And the warning not to put Herman in the fridge…..or he will die.Yikes!.On the ninth day I split the mixture into four and gave three of them away to friends.The fourth Ive just baked into a cake . I really really love my phone case which has an adorable singing bluetit design on the front.Its the perfect fit for an i phone, blackberry or indeed my own samsung Galaxy and because its padded inside its protected my phone whenever i’ve accidently flung it on the floor( this happens alot as im quite accident prone!) If you like the pretty bluetit design check out Dear Emma http://www.dear-emma.com/ as she makes lots of other lovely goodies too. 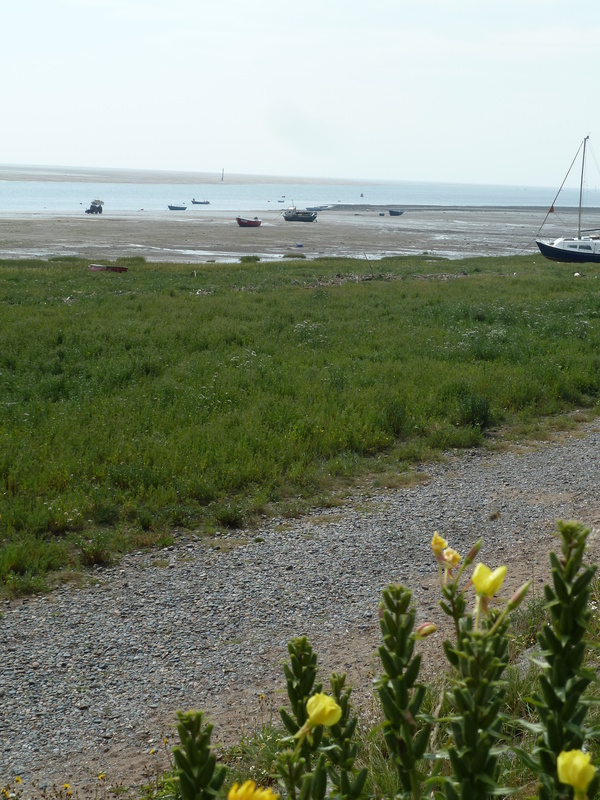 Going camping in North Wales in a couple of weeks ( Yay! ) but I needed to get a Seaside fix before then so off we headed to Lytham and St Annes for the afternoon and a bracing walk on the seafront.I love Lytham with its windmill on the green and views over the Ribble estuary.There were lots of pretty yellow flowers which according to my collins gem seashore book are called large flowered Evening Primrose. 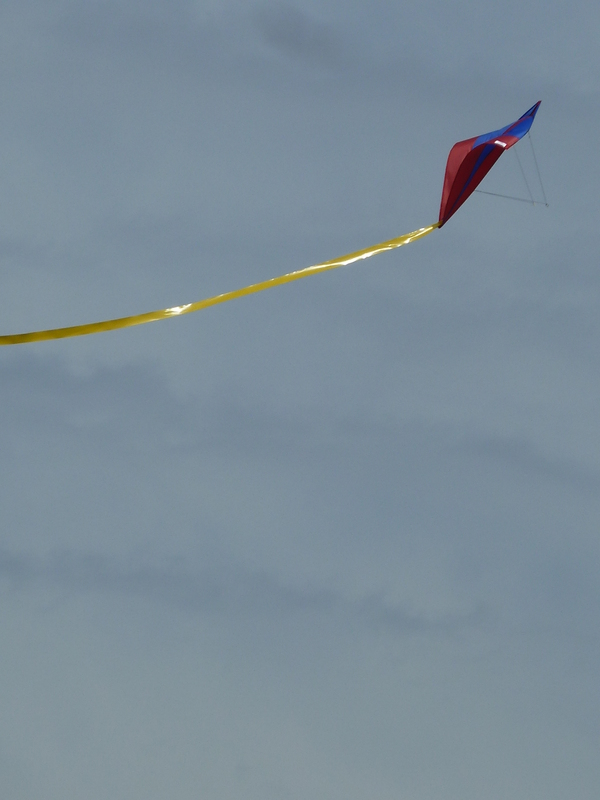 Kite flying seems a popular pass time. I loved watching them whip about in the wind. 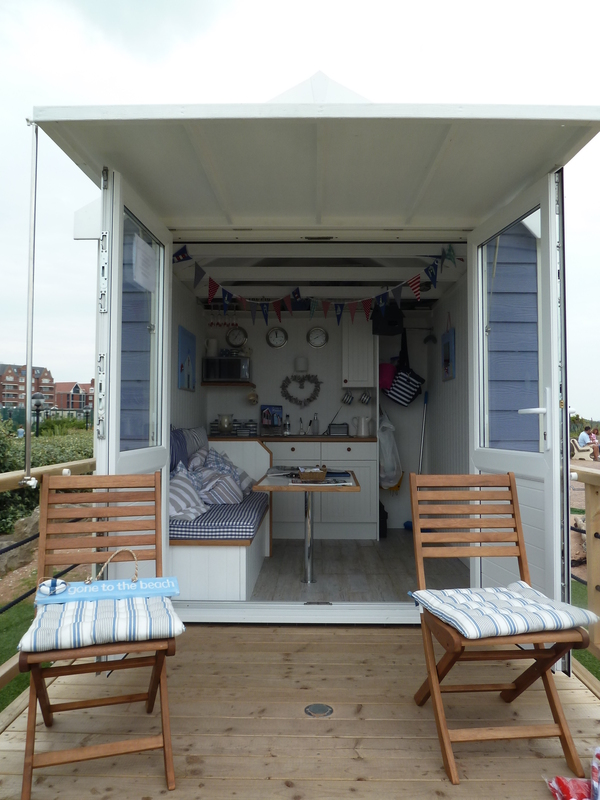 I had heard that 40 lovely beach huts had been built in Lytham.But could we find them!! Nope! It turns out they havn’t actually been put up yet. But we did find the show Beach hut near the Island at st Annes. 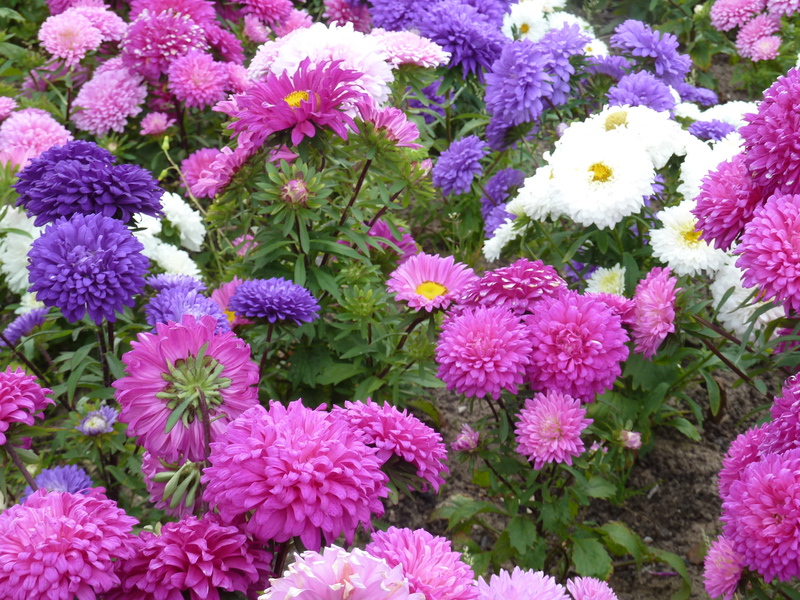 It is rather pretty dont you think? Love the nautical colours. Apparently building is starting shortly. Several will be for sale. So if you have a spare 40 grand……..
After all that walking ( phew! ) 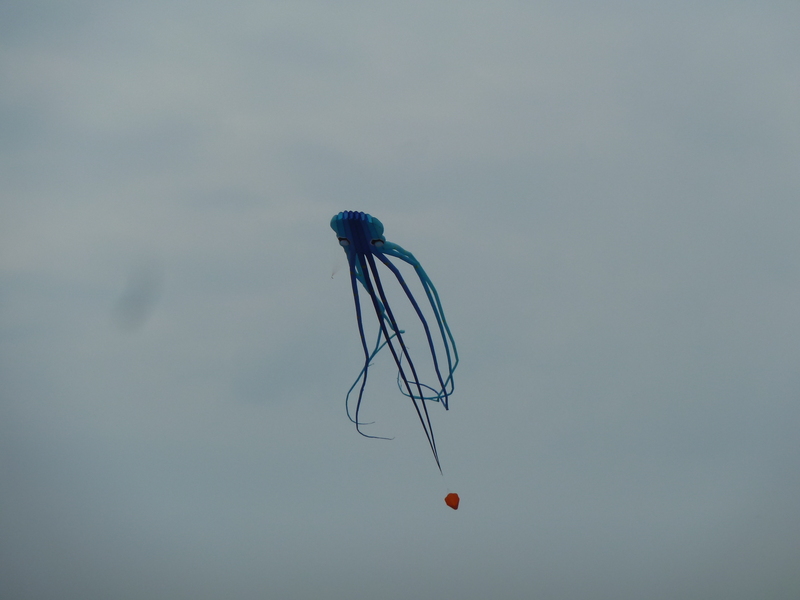 it was time for an ice cream , watched more kites ( in the shape of squids! ) and headed home. 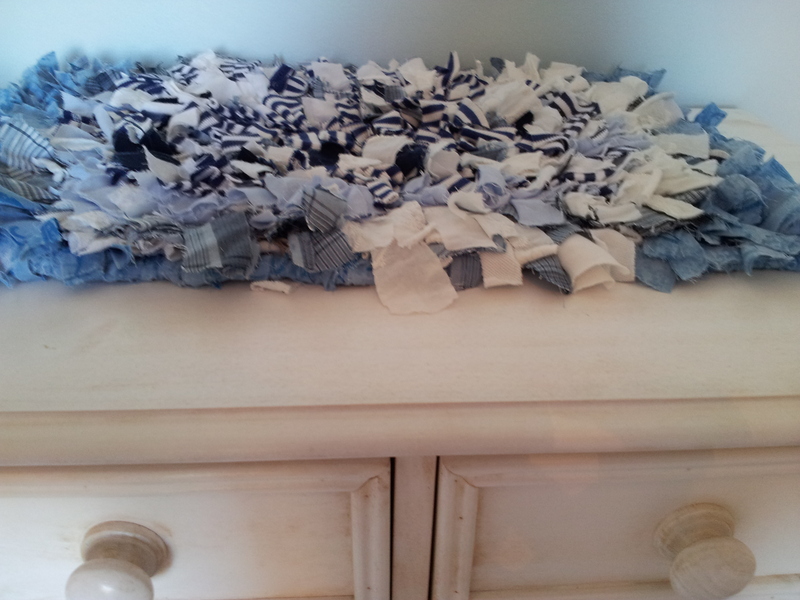 My lovely friend Sarah has recently made me this gorgeous blue and white rag rug. 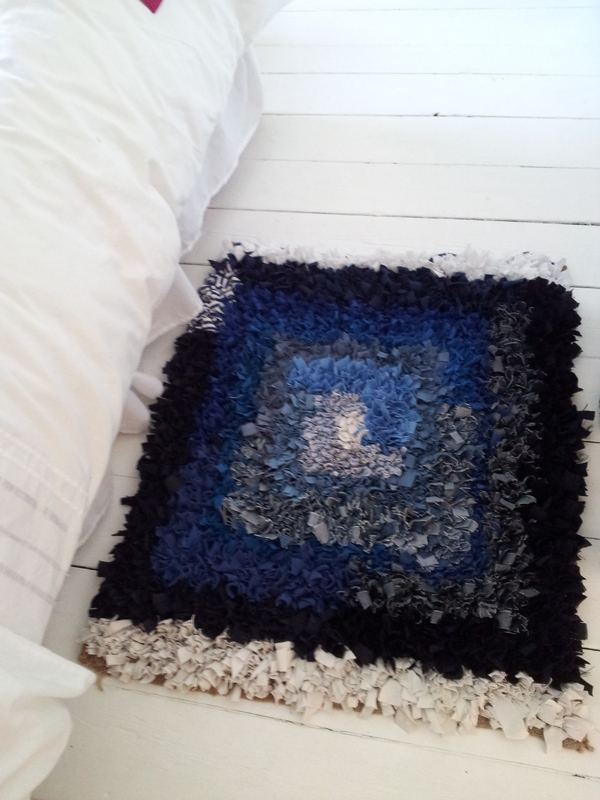 I’ve always loved rag rugs and remember helping my mum with a never ending multi-coloured creation as a child. Sarah and I recently took a rag rugging class. And now there is no stopping her! Ragrugs are quite inexpensive to make. All you really need is a piece of hessian sack ( Tip – your local coffee supplier may sell you some cheaply), some old clothing or bedding cut into strips……and a dolly clothes peg. : ). Here’s a smaller one I made to put on top of my chest of drawers. 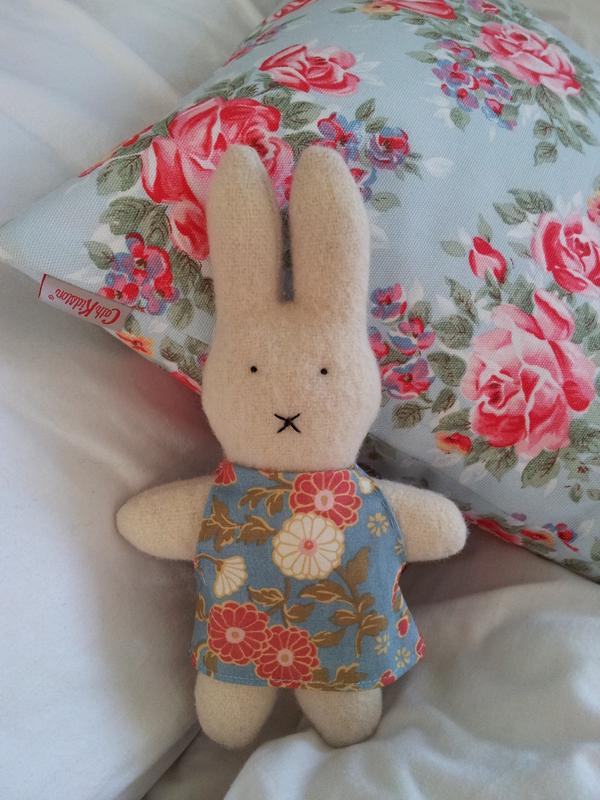 And the cushion is from my favourite ever shop for pretty things, Cath Kidston. 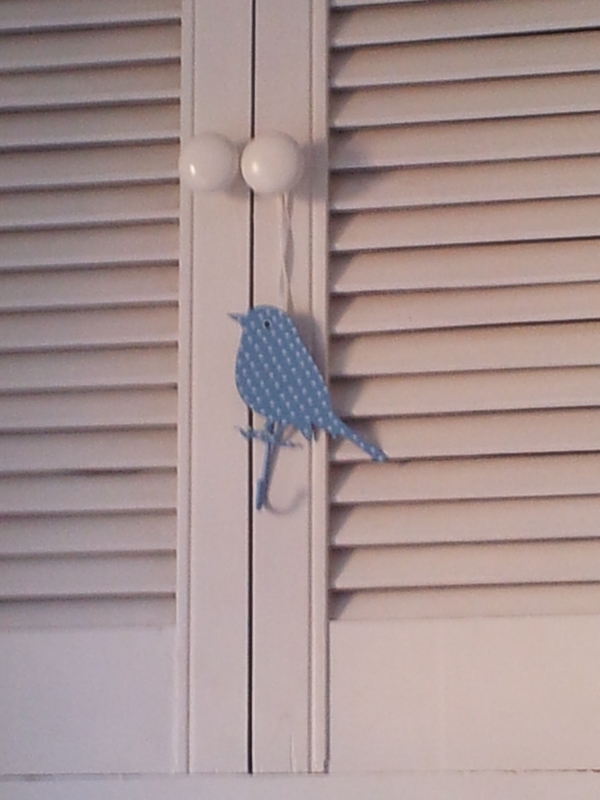 And I have a pretty bird in my bedroom. 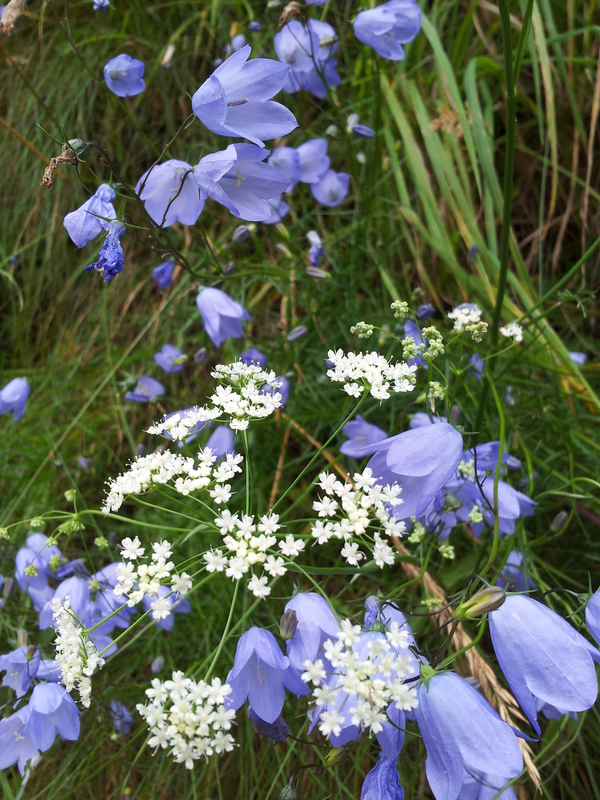 I will end this post with these lovely harebells growing in the castle grounds near where I live.